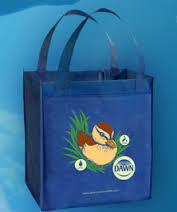 Get a free Dawn Saves Wildlife Reusable Shopping Bag from Dawn Dish Washing Detergent. 2,000 bags will be given each week. Click on “Make a Difference” to get a free bag.